Labour MP David Lammy has compared Jacob-Rees Mogg and Boris Johnson to Nazis in a rant on the Andrew Marr show. The second referendum campaigner likened the Conservatives figures to Hitler in the damning outburst on the BBC programme on Sunday. The rant has sparked fury among Conservatives who claim the MP for Tottenham has 'lost it' with the comparisons to 'white supremacists'. Asked by Marr if he regrets the comments, Mr Lammy told the BBC: 'I would say that wasn't strong enough. 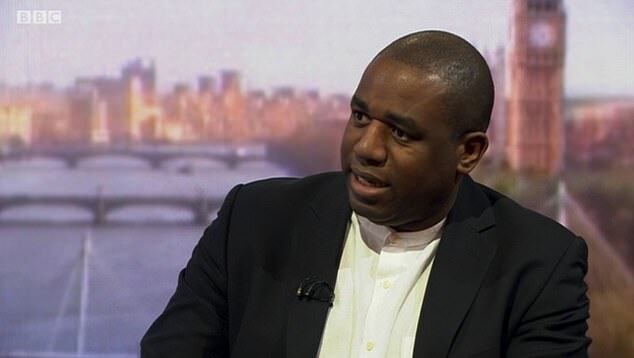 Asked by Marr if he regrets the comments, Mr Lammy told the BBC: 'I'm not backing off on this - never will I back off on this on behalf of my constituents. 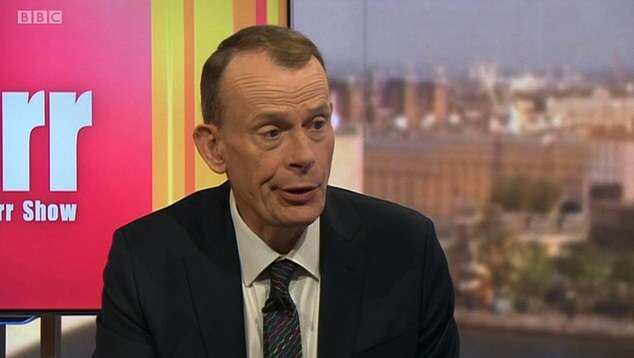 Andrew Marr pointed out the Brexiteers were elected as politicians, Mr Lammy said: 'I don't care how elected they were, so were the far right in Germany.